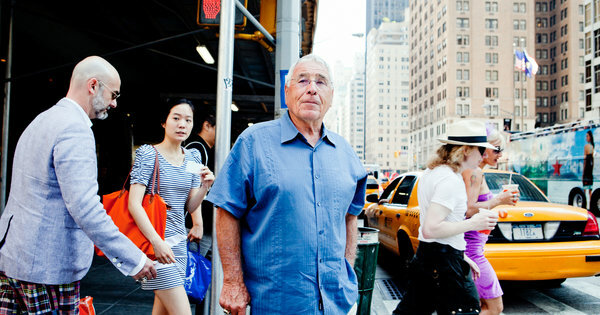 The New York Times has an inspiring article about 80 year old Florida Marlins Manager Jack McKeon. Here are a few highlights. For 62 years, Florida Marlins Manager Jack McKeon has attended Mass before every game, no matter what city he is in. “A good night for St. Thérèse,” he said. In each major league city, McKeon has a favorite, or at least a convenient, Roman Catholic church. McKeon said that in 1950, he asked John B. Coakley, an older minor league teammate in Gloversville, N.Y., to join him for Mass one Sunday morning. “He said, ‘I’d love to, but I don’t understand all the signals you have,’ ” McKeon said, laughing at the memory. In a telephone interview, Coakley added: “I told him if he taught me the signals, I’d become a Catholic.” And he did. The Reds fired him after the 2000 season, when he was 69. He prayed to St. Thérèse. He took over the Marlins in the midst of the 2003 season, just as he did this year. On Oct. 15, 2003, before Game 7 of the National League Championship Series in Chicago, McKeon attended Mass. It was the morning after Steve Bartman interfered with a foul ball and the Cubs wilted. “I’m in the pew and the pastor says that today is the feast day of St. Teresa of Avila and I say, ‘We’re in, we’re going to win today.’ ” Never mind that St. Teresa is not his St. Thérèse. But she was in the ballpark. The Marlins won, and went on to beat the Yankees in the World Series. St. Thérèse, pray for us. At one time I was planning on doing an article on just quotes from St. Paul the Apostle having to do with physical training. He must have been a strong and healthy man to have endured all the trials that he went through and to have traveled over such long distances -- often by foot. This article about a faithful baseball manager caused me to rediscover some of those quotes. I could come up with many more. Therefore, since we are surrounded by so great a cloud of witnesses, let us also lay aside every weight, and sin which clings so closely, and let us run with perseverance the race that is set before us, looking to Jesus the pioneer and perfecter of our faith, who for the joy that was set before him endured the cross, despising the shame, and is seated at the right hand of the throne of God. Consider him who endured from sinners such hostility against himself, so that you may not grow weary or fainthearted. Notice that in the passage from Hebrews St. Paul speaks of a great "cloud of witnesses". In sports terms this could either be his fellow teammates or the fans in the stadium. He is referring here to the Hebrew fathers which he describes in the preceding chapter of the letter to the Hebrews.